Last Wednesday was National Cookie Day! To celebrate, I headed over to Chicago's own Dinkel's Bakery in Lakeview. I was invited with several local bloggers to tour the bakery which opened in 1922. I used to live near Dinkel's but somehow never stopped in for a tasty treat! We toured both levels of the bakery, complete with up-close views of their vintage conveyor belts and ovens. The bakery also was sprinkled with modern elements such as computerized cake templates. 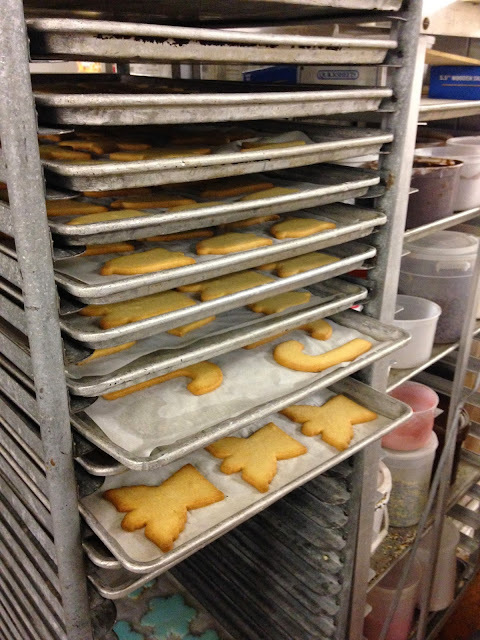 The smells from freshly-baked sugar cookies and Dinkel's famous stollen bread where delightful on the cold Wednesday night! 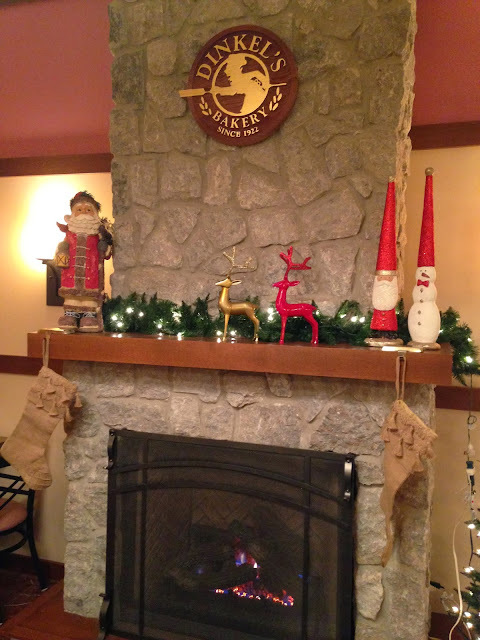 Following the tour, we piled into the adjoining cafe to sample a variety of Dinkel's sweet and savory treats such as cafe candwiches, cookies, hot chocolate, and coffee, all by their adorable fireplace. We were there for the cookies after all, and those did not disappoint! I loved the assortment of butter cookies we tried, mostly because I never knew what flavors I was going to experience. The hot chocolate was extremely rich and comforting but I could only have a few sips before I went into a sugar coma! To make things even sweeter, I got to take home a loaf of stollen, as well as a 1lb box of assorted butter cookies. Both are fantastic and I've been trying my best to ration them out over the past week. 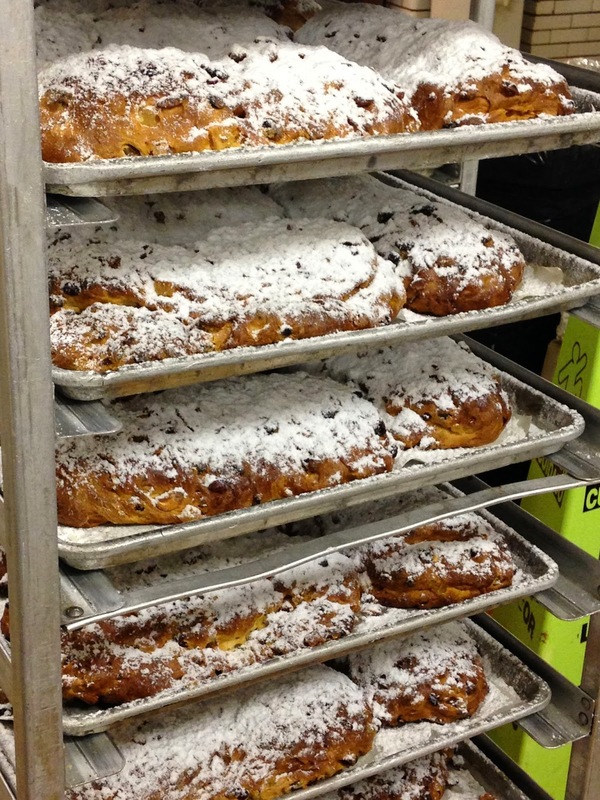 Check out Dinkel's Bakery for your holiday baked good needs, or even if you just want to pick up a special treat for yourself. They also have a booth at Chicago's Christkindl Market through December 24th if you want to sample some goodies while getting your spiced wine drink on!